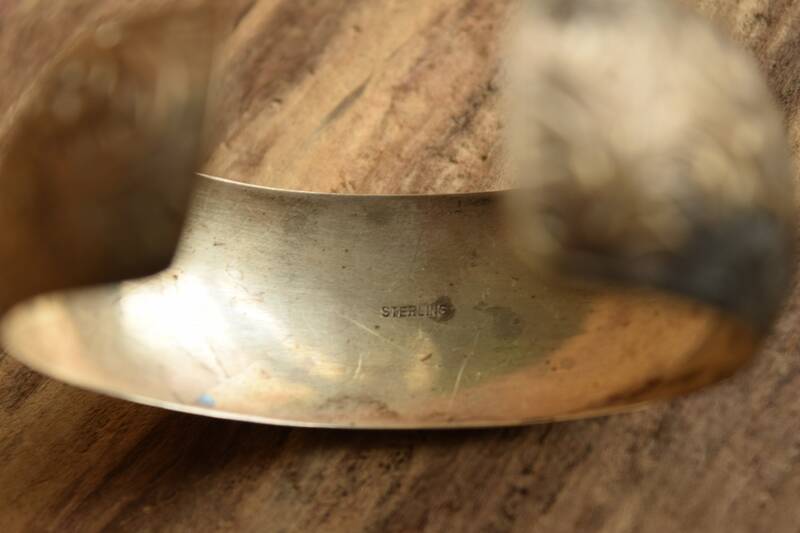 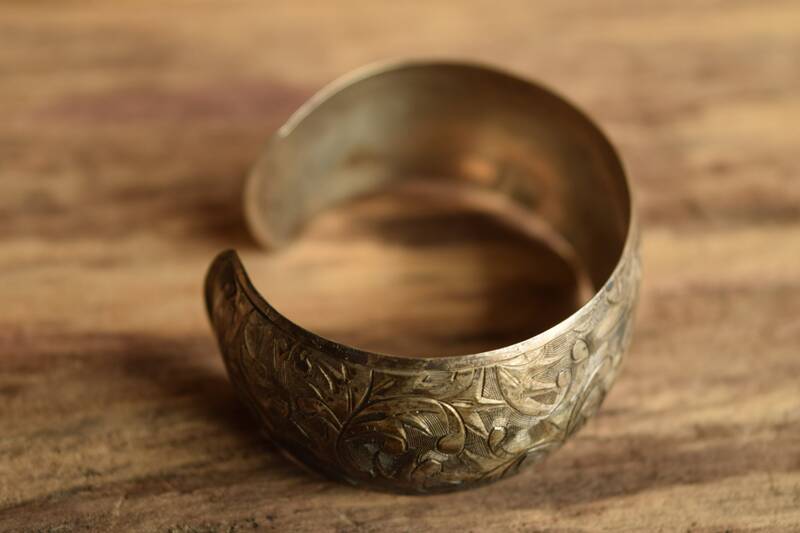 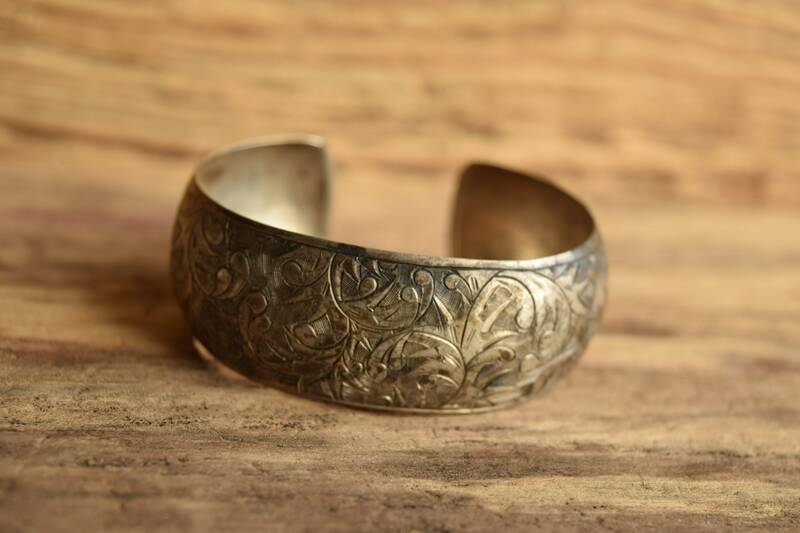 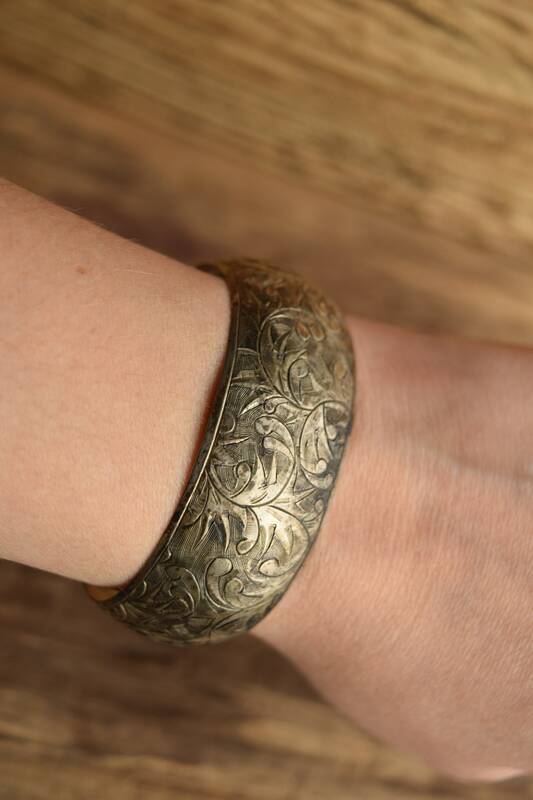 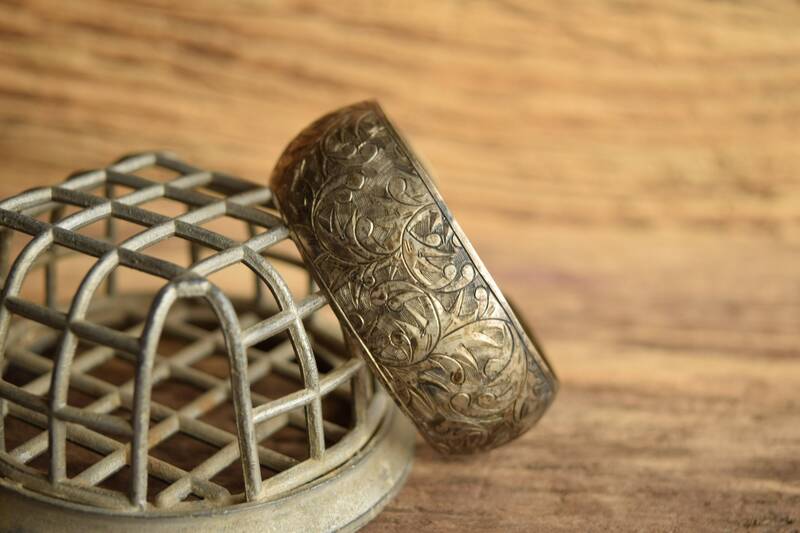 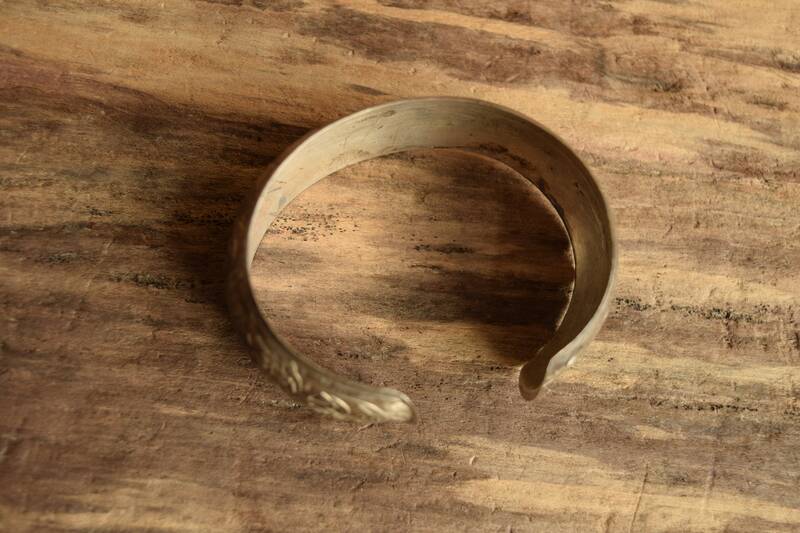 This vintage sterling silver cuff features a hand engraved design and an antiqued look thanks to its tarnish and patina. 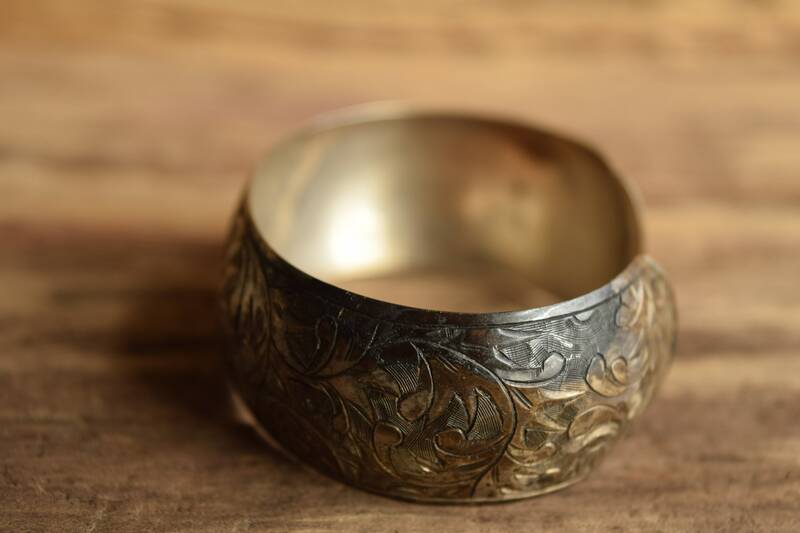 Its extremely light weight and easy to wear, slightly rounded and it even has a nice smoothed lip on the end so its extra comfortable to remove from your wrist. 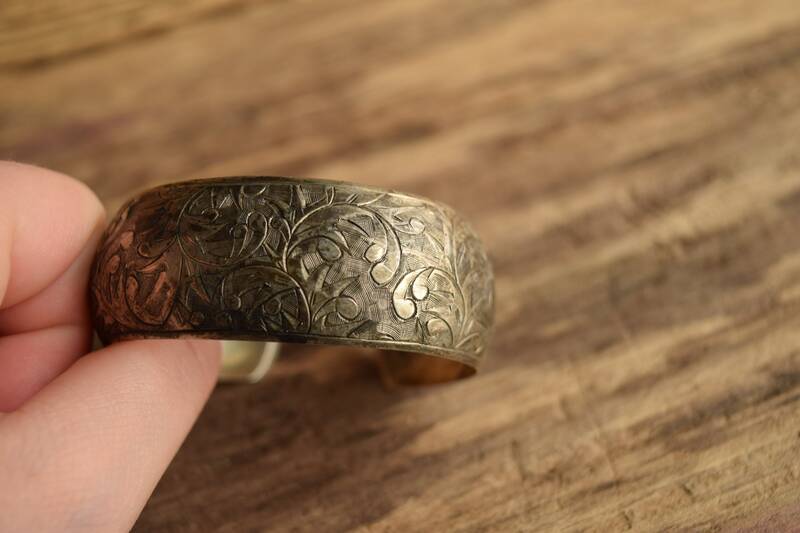 Condition: Great condition but with plenty of tarnish , including one very black edge. 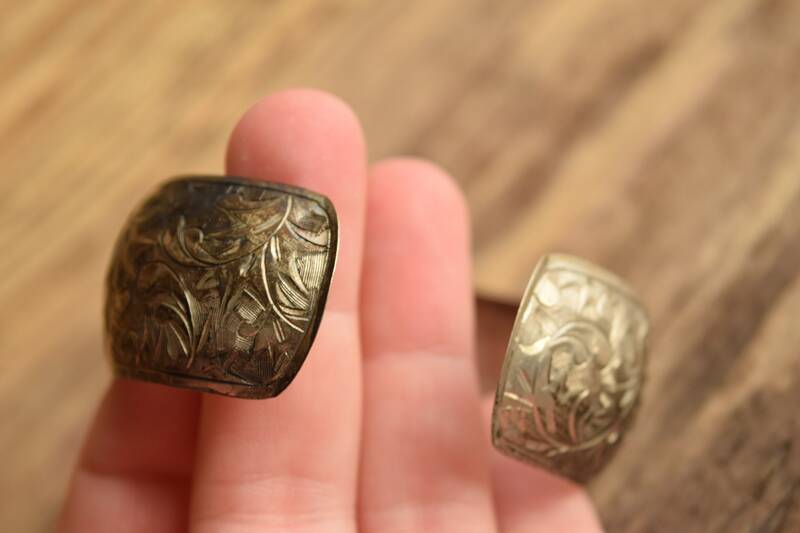 Might clean up nice with polish but we love the overall lovely antiqued feel.